When your photographs become your memories, saving them from disappearing becomes your responsibility. Collecting pictures for every moment has become a common habit, and why not it would be, when we have a pocket handy camera with us all the time. This tiny device, our mobile phones is a solution to every problem. But when it comes to photo recovery, only responsible software is searched for. For storing your photos, you have ample of photo storage devices, from SD card to your personal computer. And what about for recovering deleted pictures; you will definitely search for platform independent software. ‘To err is to human’, we all do make mistakes, some small and reparable; some large and still reparable. Definitely, you will not be the first person in the world to delete important files and photographs from your SD card. Also, you will not be the only person in the world who faced data loss due to corrupt or faulty SD card. 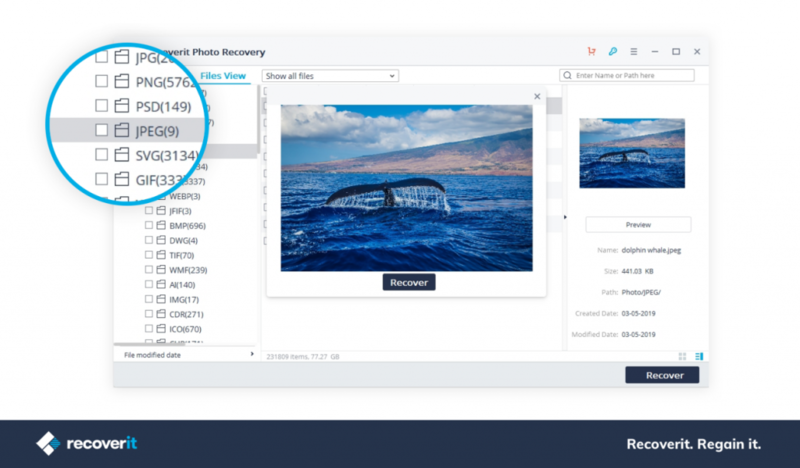 The good news is that you have Recoverit photo recovery software to restore deleted photos. The first and foremost step for data recovery in your SD card is to prepare your SD card for it. It is always advisable to stop using the SD Card as soon as the damage occurred. Even if you cannot see your files anymore, they are still on your card, hidden from your reach, but definitely visible to your photo recovery app. Your pictures, though presently in a different world still have chances of losing their identity, as the computer considers it as unused space and wants to overwrite the information as soon as possible. This is when the question arises, how to restore deleted photos? 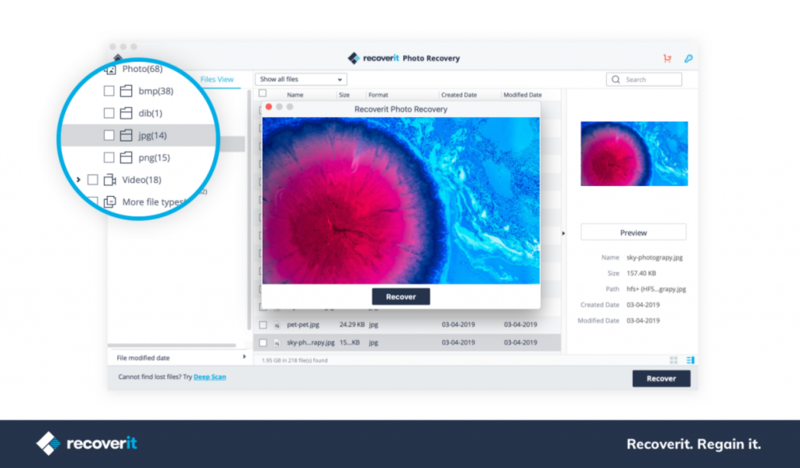 Designed for casual users, Recoverit photo recovery software has the tendency to meet the requirement of even IT professionals. Good photo video recovery software helps you retrieve your pictures effortlessly. You do not need to follow lengthy recovery steps and read long manuals just to ensure that you are able to use the data recovery software. You do not really require deep computer knowledge and a prior data recovery experience. Your pictures in a digital graveyard are just a click away from coming back to life. 1. Connect your SD card to your computer through a card reader, or directly connect your device containing the card. After launching, the android photo recovery app asks for the exact location of image loss and starts the process of recovery. 2. After receiving the scanned results, you can select photos, videos and other files that you want to retrieve. 3. Choose a different location to save your files and then click on the ‘recover’ option. Simple and DIY approach for your lost pictures from your iPod, you will get extensive photo recovery support for all image formats like PSD, PSP, INDDGIF, etc. 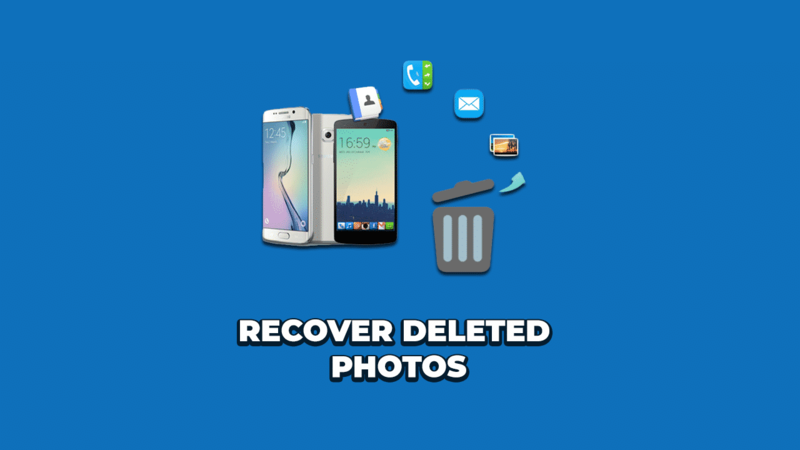 Not only photos, but picture recovery app also retrieves lost recovers all your deleted video files, music collections, and podcasts. 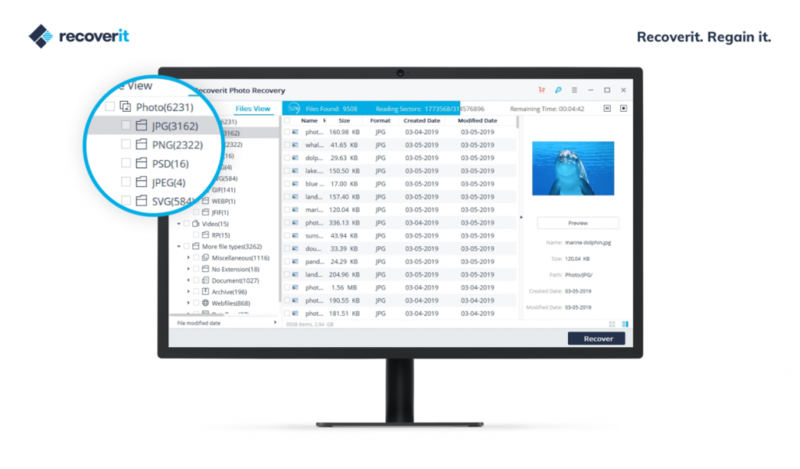 This feature helps you retrieve deleted photos without the risk of data loss due to drive failure. The first step includes searching for the exact location of the data loss. The software asks you to select the location from where the data loss has occurred so that the retrieving of pictures could be made easy. As the search proceeds, you will be provided with the series of scan results. You have to choose from the list the required data or images you want to restore into your device. The third and the final step include the retrieving of the final required information from your Mac. 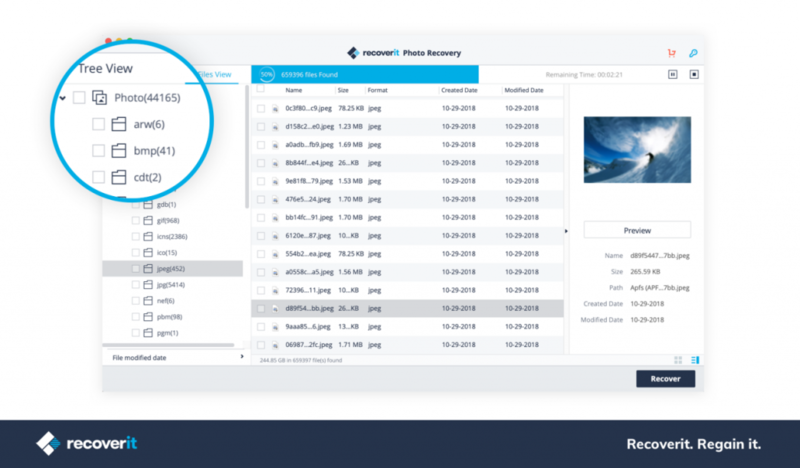 You can easily download Recoverit photo recovery software for free and have access to your far lost photos. Re-living your old diaries is possible now. The memories you once created are safe and secure even after a minor deletion accident. With the best photo restore app, your lost memories will retrieve back. No professional knowledge is required just a professional recovery software will do all your jobs. Search, scan and retrieve is all you need to do. This blog is useful for users of all platforms. 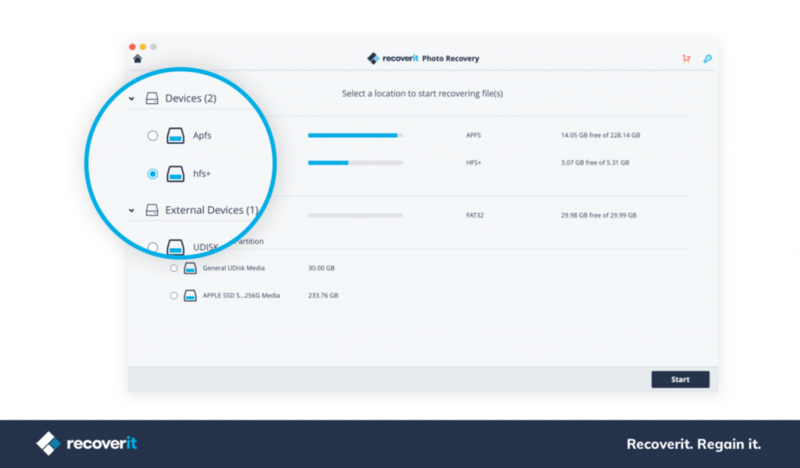 Your pictures and videos are safe at the backyard; you just need to open the gate to Recoverit photo recovery software. Be it your Mac or your SD card, photo recovery app are available for your help at no cost. You do not need to be experienced to recover the photos. Only installing and following simple steps will get your work done.